Aricent is a global innovation, technology and services company focused exclusively on communications. Aricent combines the leading innovation capabilities of frog design with unparalleled domain expertise in communications as a strategic supplier to the world’s foremost infrastructure, application and service providers. The company’s investors include Kohlberg Kravis Roberts & Co., Sequoia Capital, The Family Office and The Canadian Pension Plan Investment Board. For more information regarding Aricent’s Converged Access Software, please visit: http://www.aricent.com/Products/MultiServiceBusGateway.aspx. Excelocity’s XL-Gateway Framework based VoIP demo application has been integrated to run with Aricent’s Converged Access software(CAS). For more information about Aricent, visit www.aricent.com. Continuous Computing® is the only company deploying uniquely architected systems comprised of telecom platforms and Trillium® software. Leveraging more than 20 years of innovation, the company enables network equipment providers to rapidly deploy carrier-class LTE, DPI, and femtocell applications with reduced risk, cost, and complexity. Only Continuous Computing combines open-standards systems, Trillium protocol software, and expert professional services to create fully-integrated solutions that empower more than 150 customers worldwide to accelerate new product delivery and maximize return on investment. Excelocity uses the CCPU-Trillium protocol stacks in its framework. For more information about CCPU, visit www.ccpu.com. Excelocity’s XL-Gateway Framework based VoIP demo application has been integrated to run on Intel CAP24-60 Multi-Service Business Gateway reference platform. 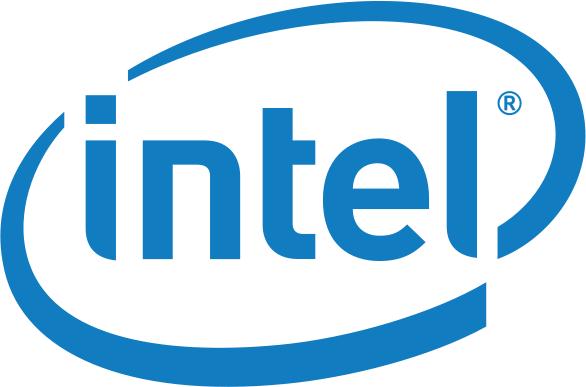 For more information about Intel, visit www.intel.com. Mindspeed’s highly integrated and comprehensive Comcerto® Voice-over-Packet (VoP) devices and software solutions offer telecommunications equipment manufacturers the convenience and performance of single devices that seamlessly process highly secure, carrier-class voice between wireless and wireline packet and TDM networks. All Comcerto carrier series processors are complete multi-core systems-on-a-chip (SoC), integrating both packet and digital signal processing (DSP) elements to provide an extremely robust and flexible architecture which, combined with Mindspeed’s industry-proven software suite, enables equipment manufacturers to speed time-to-market for next-generation Voice-over-Packet (VoIP, VoATM) products. Excelocity’s XL-Gateway Framework based VoIP demo application runs on Mindspeed’s Comcerto 300 EVM. For more information about Mindspeed, visit www.mindspeed.com. NComm’s Trunk Management Software (TMS) portfolio of products features T1, E1, T3, E3 SONET and SDH technologies, including Automatic Protection Switching for SONET/SDH. The TMS suite enables faster time-to-market for network systems by reducing the development time for WAN interfaces from months to hours. It includes the turnkey software and source code to embed into WAN equipment which performs all the framer, alarming, performance monitoring, line testing and signaling functions that all WAN devices or products must have to operate in a standard compliant manner. Portable to any operating system, NComm provides its TMS customers with a fully functional device driver to interface with any industry standard framer. NComm currently supports a number of PMC-Sierra’s most popular WAN devices and plans to add more based on customer demand. For more information about Ncomm, visit www.ncomm.com. RADVISION (Nasdaq: RVSN) is the industry’s leading provider of market-proven products and technologies for unified visual communications over IP, 3G and IMS networks. With its complete set of standards-based video networking infrastructure and developer toolkits for voice, video, data and wireless communications, RADVISION is driving the unified communications evolution by combining the power of video, voice, data and wireless – for high definition video conferencing systems, innovative converged mobile services, and highly scalable video-enabled desktop platforms on IP, 3G and emerging next-generation IMS networks. For more information about RADVISION, visit www.radvision.com. Excelocity has used the RADVISION SIP stacks in a number of projects and has the license to embed the runtime version in our solutions. TeleSoft International licenses protocol stacks to developers of networking products used in Carrier Class and CPE applications. Telecom and datacom stacks available include CompactSIP, 3Gpp/IMS CompactSIP, PRI & BRI ISDN, PPP, ML-PPP, T1 RBS, E1 CAS R2, QSIG, ML-Frame Relay and X.25. Excelocity uses the ISDN, T1/E1 and CAS protocol stacks in the development of custom gateway solutions. For more information about Telesoft, visit www.telesoft-intl.com. TranSwitch provides integrated multi-core signal and network processor System-on-a-Chip (SoC) solutions, as well as a full software suite offering for Fixed, 3G and 4G Mobile, VoIP and Multimedia Infrastructures. Our optimized single chip and comprehensive system software suites include IMS-Media-on-a-chip, NG-Access-on-a-chip, and NG-Enterprise-on-a-chip. TranSwitch has shipped more than 65 million IMS-compliant ports to worldwide Tier-1s. Excelocity’s XL-Gateway V2IP Engine runs on Transwitch’s DSP SoCs. For more information, visit https://www.transwitch.com/Products/Infrastructure/.